오랜만에 본가이 있는 추억의 창고를 살펴 봅니다. 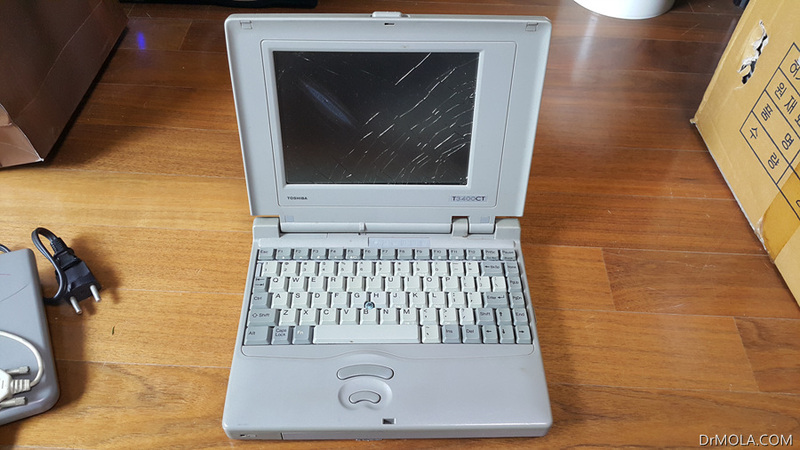 오늘 저에게 걸린 보물 아니 고물은 Toshiba T3400CT 라는 노트북 입니다. 구글링에서 찾은 스펙을 찾아 봅니다. ❑ Microprocessor The T3400/T3400CT uses an SL Enhanced Intel 486SX-33 microprocessor that operates at 33 MHz, 3.3 Volts. ❑ Cache memory The T3400/T3400CT has an 8 Kilobyte (KB) cache memory stored in the i486SX microprocessor. 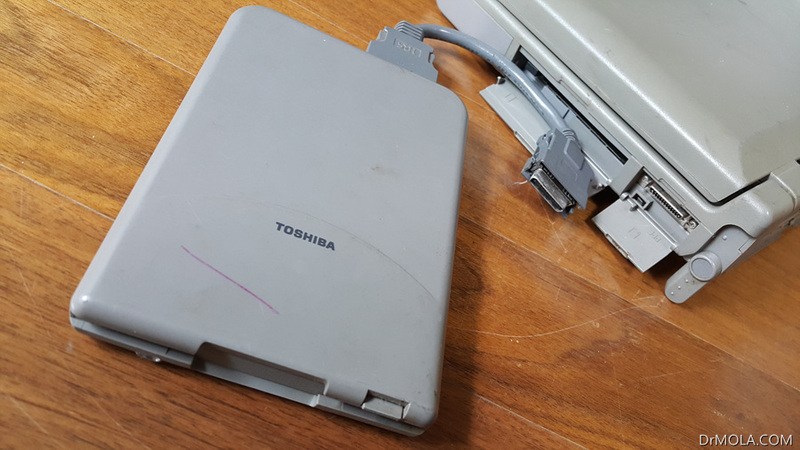 ❑ Disk storage The T3400/T3400CT has an internal 120 Megabyte (MB) Hard Disk Drive (HDD) with an average access time of 17 milliseconds. 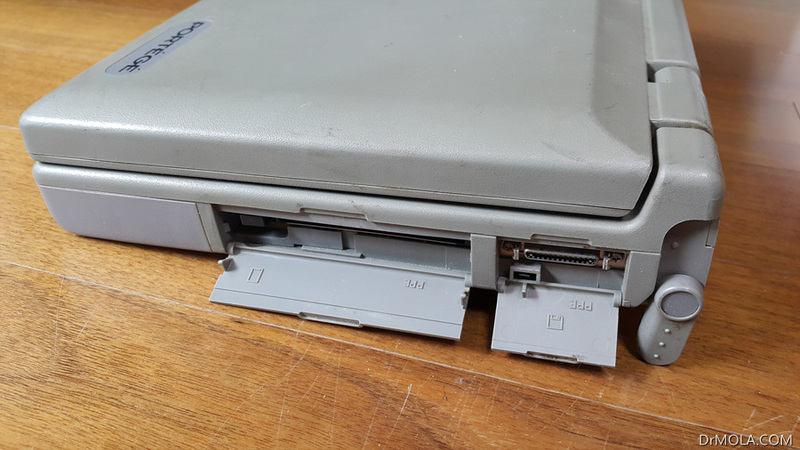 An external 3.5-inch Floppy Disk Drive (FDD) supports 2HD floppy disks (1.44 MB) and 2DD floppy disks (720 KB). ❑ Memory The T3400/T3400CT comes standard with 4 MB of CMOS Random-Access Memory (RAM) 3.3 Volts. This includes 640 KB of conventional memory and 3,456 KB of extended memory which can be utilized as expanded memory compatible with Lotus/ Intel/Microsoft-Expanded Memory Specifications (LIM-EMS). ❑ Monochrome LCD (T3400) A high-resolution, Liquid Crystal Display (LCD) displays 640 x 480 pixels with a 64-level gray scale. The T3400 internal display controller supports Video Graphics Array (VGA) functions on the internal display and Super VGA (SVGA) functions on the external display. ❑ Batteries The T3400/T3400CT has three batteries: a main battery, backup battery, and RealTime Clock (RTC) battery. 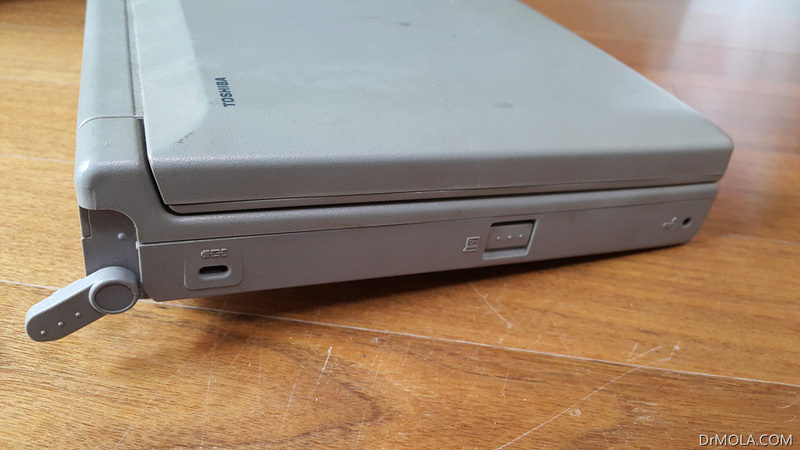 ❑ Personal Computer Memory Card International Association (PCMCIA) card slot The T3400/T3400CT has one PCMCIA slot for installation of an MiNC Toshiba card modem or other industry-standard PCMCIA release 2.0 card. 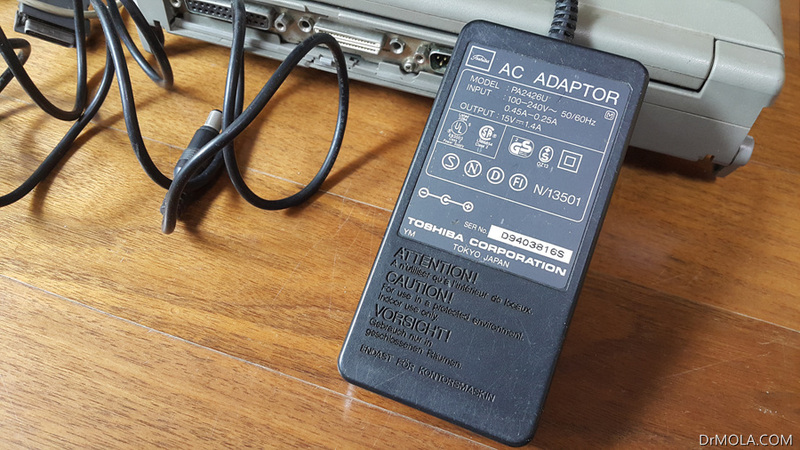 ❑ Parallel port The T3400/T3400CT parallel interface port serves two purposes. 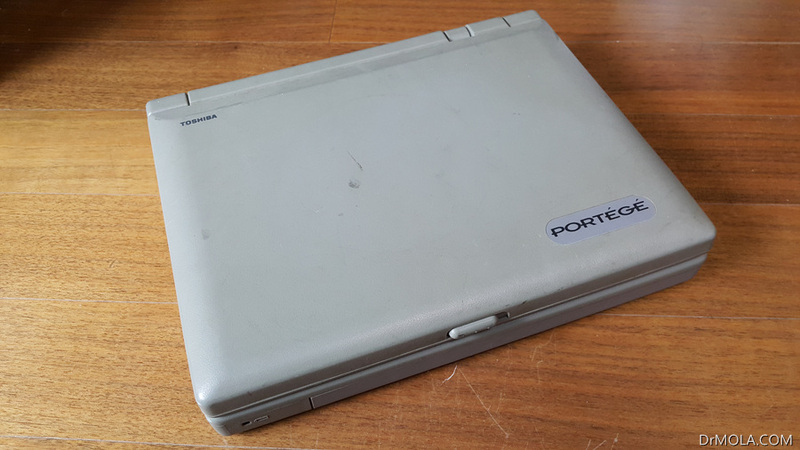 The port can be used to connect a Centronics-compatible printer or an external 5.25-inch floppy disk drive. ❑ RS-232C port The T3400/T3400CT has one 9-pin serial interface port. ❑ External 3.5-inch FDD port The T3400/T3400CT has one external 3.5-inch FDD port. 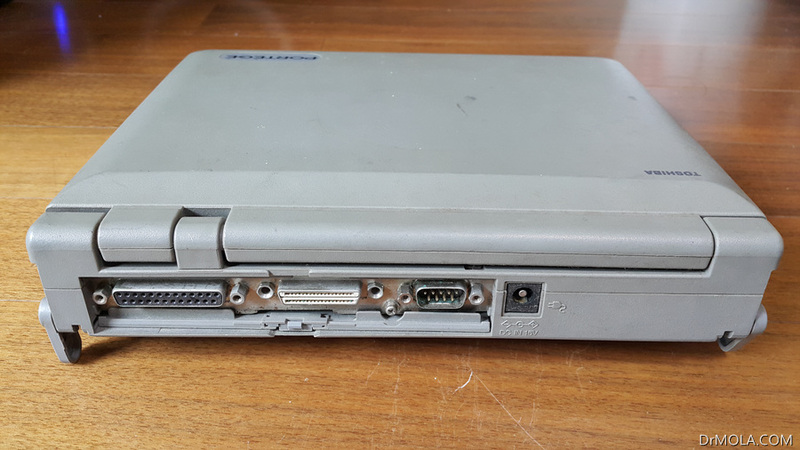 ❑ Port replicator port The T3400/T3400CT has one port replicator port which enables connection of an optional port replicator or external monitor adapter. 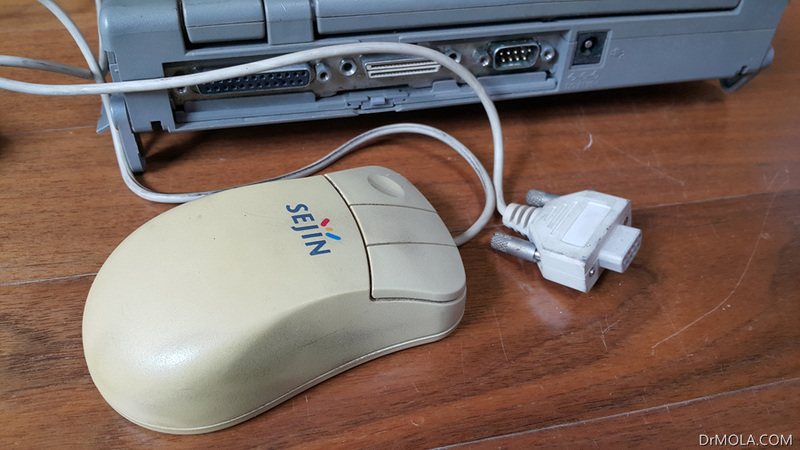 The port replicator allows connection of an optional PS/2 keyboard, PS/2 mouse, and external monitor. 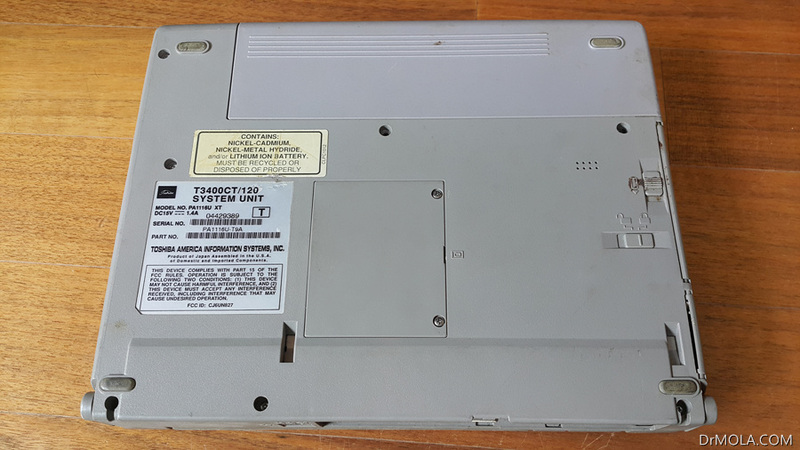 ❑ Memory module slot The T3400/T3400CT has one slot for optional installation of a Toshiba memory module. 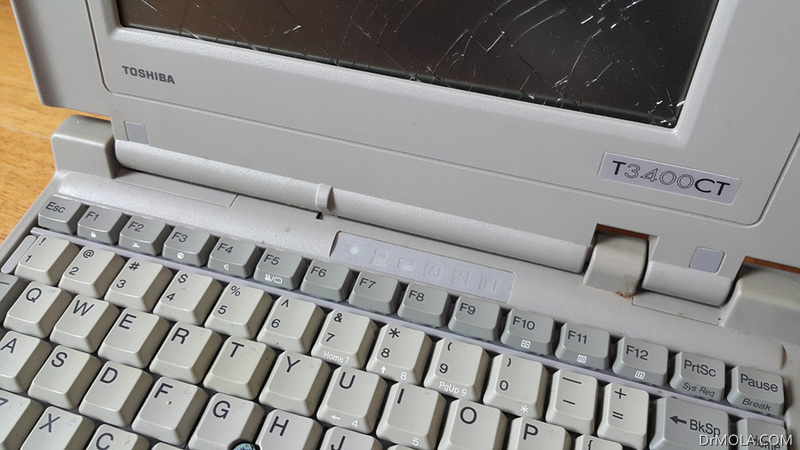 ❑ Accupoint The T3400/T3400CT has a pointer control stick in the center of the keyboard. 와 인텔 486SX-33이 들어간 노트북 입니다. 그 당시 모바일용 씨퓨는 따로 없는 시절이라... 일반 데스크탑에서 사용하는 씨퓨가 들어 갔습니다. 클럭은 33 MHz 응? 기가? 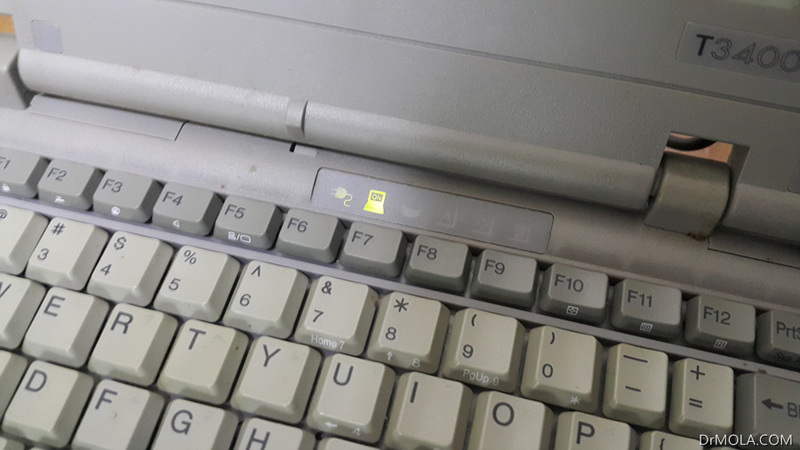 전압은 3.3 Volts ㄷㄷ? 요즘에 이렇게 전압 넣으면 씨퓨 다 망가지는..
어마어마한 성능을 가진 씨퓨 입니다..
크 아쉽게도 노트북 액정이 꺠졌습니다. 하판 역시 세월의 흔적을 느낄 수 있습니다. 메모리를 간편하게 추가할 수 있는 덮게도 있네요. 외부 입출력 포트와 전원 포트 입니다. 옆에 홀은 뭐지 저 당시에도 켄싱턴락 홀 이 있었나 ㄷㄷ..
옆에 버튼은 전원 버튼 입니다. 라는 역시 실패 정상으로 작동은 하지 않습니다. 시간이 남으면 안에 열어서 뭐가 문제인지 확인해야 하고 싶겠지만..
그리고 컴퓨터의 빠른 발전속도를 새삼 실감합니다. 와 엄청 유물이네요. 사진으론 작아 보이는데 실제론 두껍고 무겁겠죠?! ?